Three things you need should you throng too long in the shops of kitchen-crazed Kappabashi: good coffee, a place to sit, and something sweet. 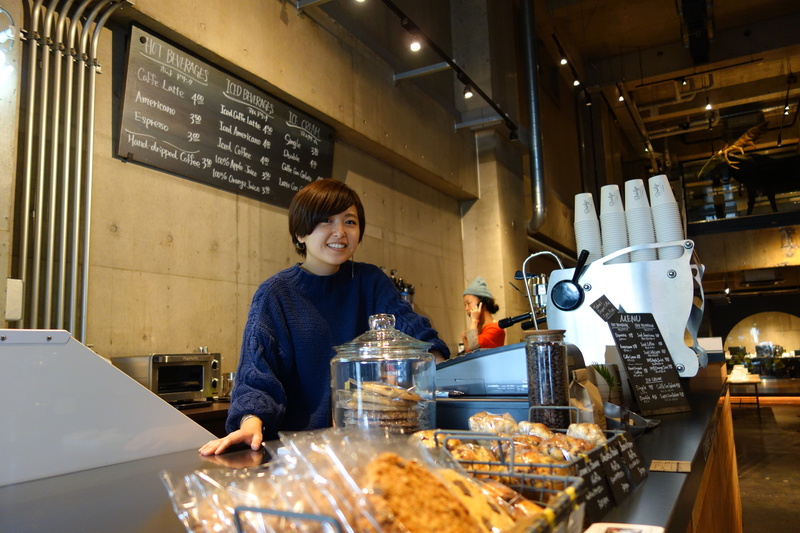 Baristas Miki and Aya will probably set you right. They put positive pressure into the espresso, and sell interesting muffins of salt-caramel and banana, chocolate and pistachio, and bacon and pepper. And also those fruity Jewish rugelach pastries. And ice cream. Plus one of them wears her blue jumper backwards. Looking a little incongruous in these parts with its designer-chic elements of raw timber, concrete and iron, Bridge occupies the ground-floor of a trendy furniture maker. But owner Daisuke Hamada keeps his coffee real. He’s got some experience at it, since he serves it elsewhere across town, at Little Nap, and in the Ura-Hara gallery space Vacant. Bridge is at 3-1-12 Matsugaya, Taito-ku tel 03-6231-6781. Closed Tues, Wed.